It's no secret I love spicy food. When I think of adding spice to most of my dishes, my go to ingredients are red chili flakes, red chili powder or spicy fresh chilies. 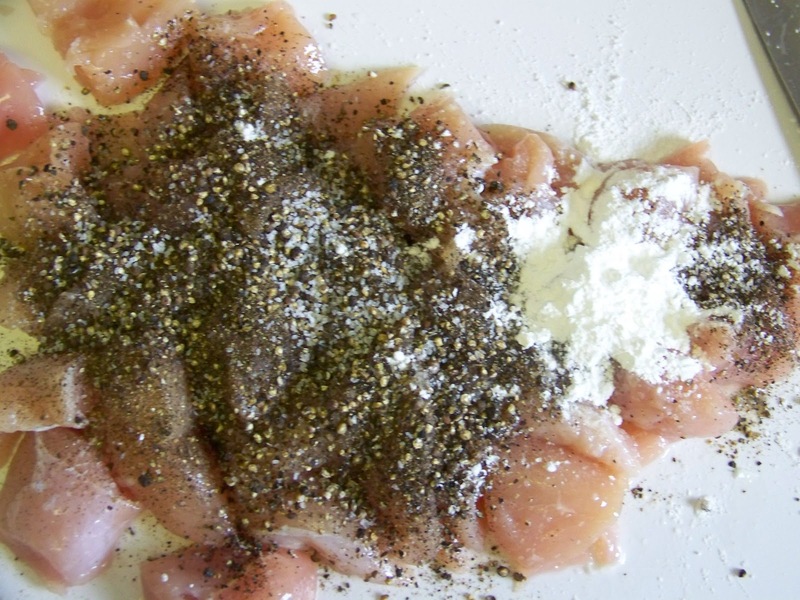 Black pepper is just a "seasoning" and truly doesn't get the respect it deserves from me. So I'm here to make amends to black pepper and apologize for taking it for granted. This Black Pepper Chicken Stir Fry is all about the black pepper and it hits the mark when you want something peppery and spicy. Cut chicken into 1 inch cubes. Season with coarse black pepper, salt and cornstarch. Heat wok with oil. 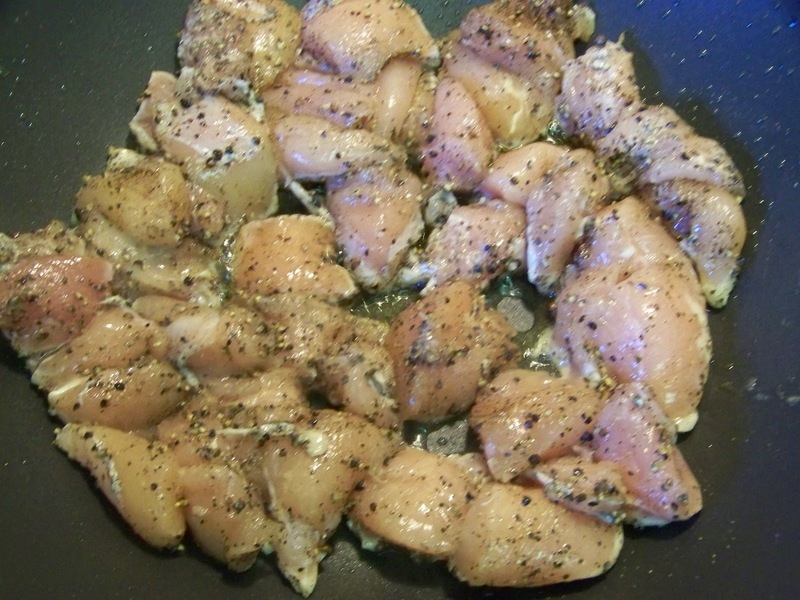 Once heated add the seasoned chicken. 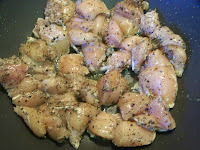 Allow chicken to get crusted and brown on one side for 2-3 minutes and then flip over and brown other side for 2-3 minutes. 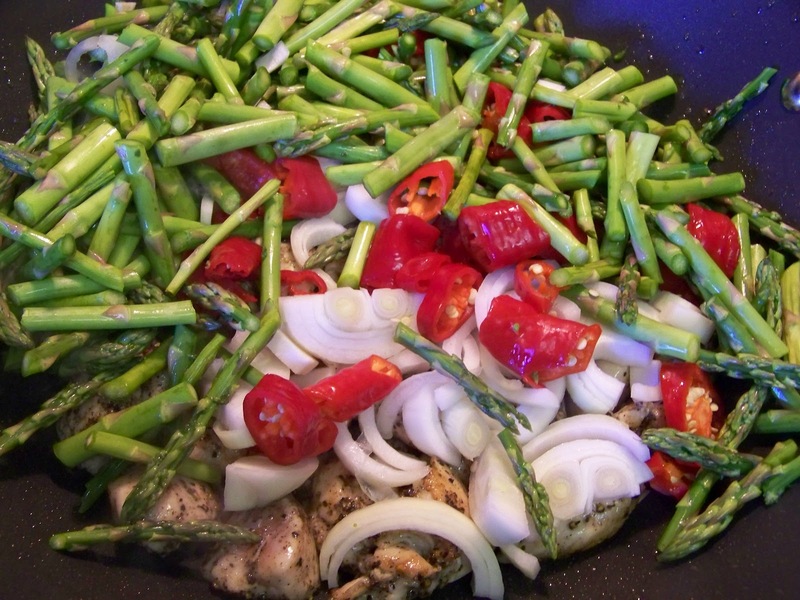 Add vegetables and stir fry for 3-4 minutes. Then add sauce and stir fry for another 3-4 minutes. Taste for seasoning and turn off stove your dish is done. Serve with rice. Enjoy. We use a lot of black pepper, my Hubs loves it on pretty much any dish. This dish goes onto my must-make list - sounds delicious! Gorgeous photos, as always :) Have a wonderful weekend! Oh my goodness, this looks amazing. 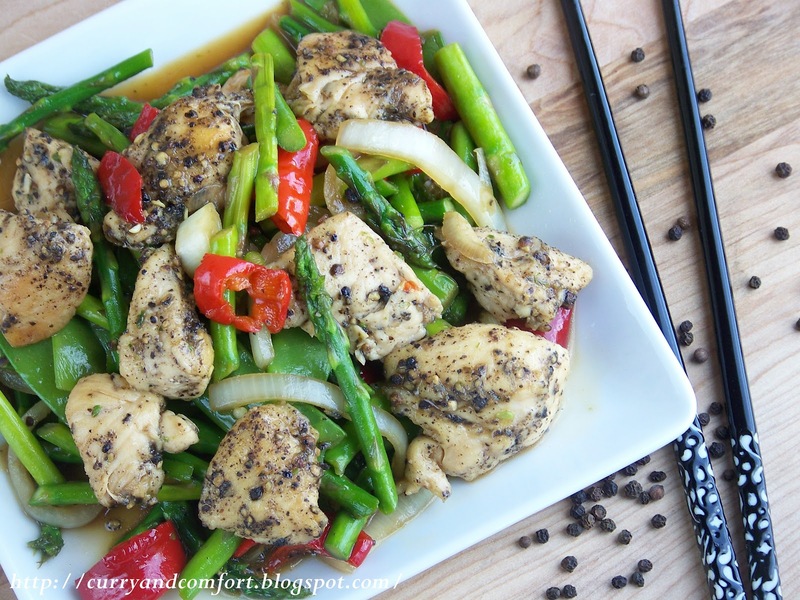 The black pepper chicken looks so good with the stir-fry. I love a good stir fry too. Black pepper is the only way I can eat with 'heat'. I just can't handily other spices. I'm a wimp! Oh, this looks like a fabulous entrée, Ramona! So beautiful and flavorful! Congrats on your Top 9!!!! Spicy delicious with asparagus. Lovely!! 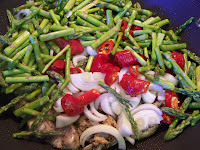 The amount of spring onions scare me but i know thats how it is traditionally. I just stumbled upon your blog from the Foodbuzz, congrats on being the top 9. 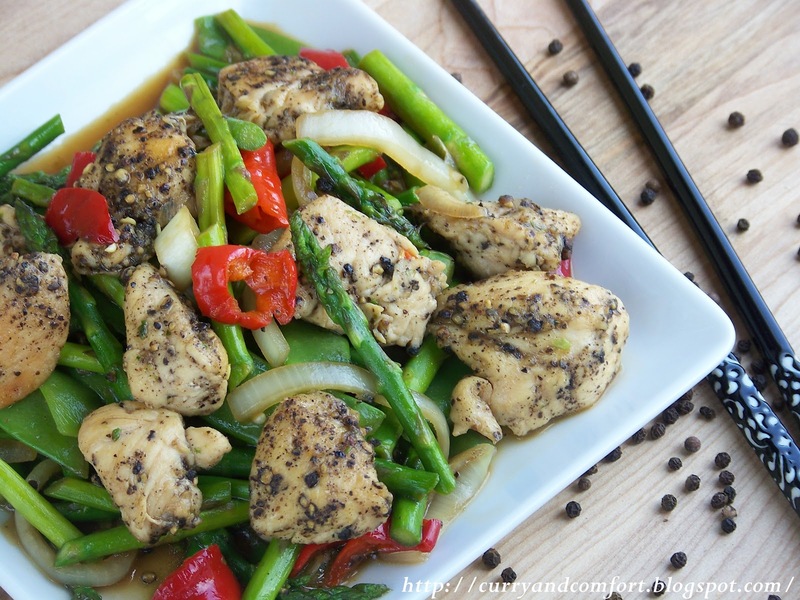 I LOVE Chinese black pepper. This dish looks fantastic! 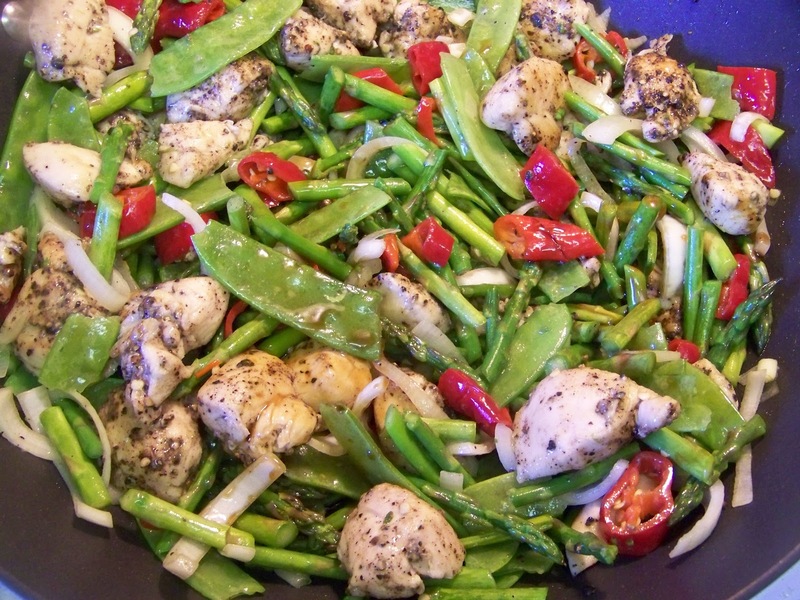 A fabulous stir-fry! You have alovely blog. It is amazing how something so simple as black pepper can change a dish! I love spicy and peppery foods too. 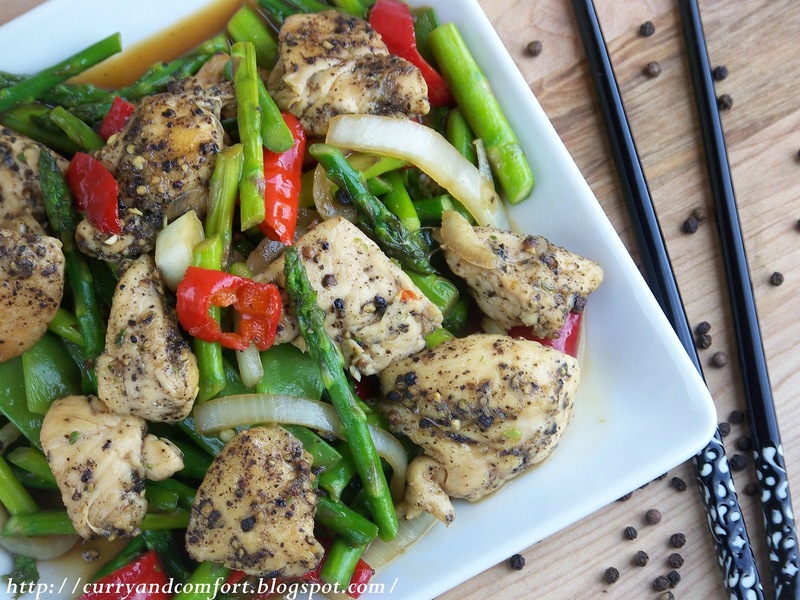 This quick stir-fry would be perfect for weeknights. This is amazing! Thanks for sharing! You have so many lovely recipes on your blog. I think pepper makes it to my top 3 spices. lol. this is simple and delicious. Love it. We like spicy too, for my daughter, the spicier, the better! This sounds fantastic! Black pepper is considered the `King of Spices` as judged from the volume of international trade, being the highest among all the spices known. 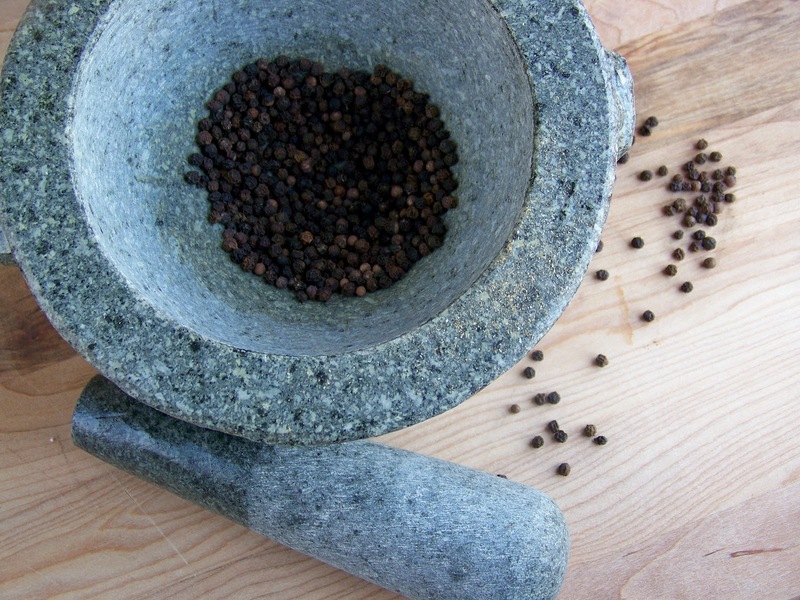 Black pepper is produced from the still-green unripe berries of the pepper plant. Black pepper constitutes an important component of culinary seasoning of universal use and an essential ingredient of numerous foodstuffs. It has a number of medicinal virtues.